ng homes and Sporting Memories representatives with former Scotland international goalkeeper Jim Herriot and Commonwealth gold medalist Lachie Stewart (centre). 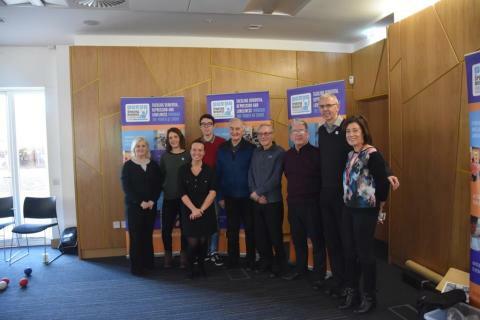 ng homes and Sporting Memories Foundation came together to hold an Open Day event in Saracen House Possilpark on 17th January. Sporting Memories are a charity dedicated to the development and use of sports reminiscence, inclusive physical activities and intergenerational activities to support isolated older people across the country. It provides a space for people to meet and talk with others about past memories, undertake some exercise sessions and at times, hear from sporting stars from the past. The purpose of the event was to gather support for establishing regular clubs in the area. Jim Herriot, a former footballer, who played as a goalkeeper for clubs in Scotland, England and South Africa. Jim was also capped 8 times for Scotland. The other sporting hero was Lachie Stewart, a former long-distance runner, well known for his fantastic win at 1970 Edinburgh Commonwealth Games where he won Gold in the 10,000 metres. The two sporting heroes told many stories and shared their experiences during a question and answer session. They were applauded by all of those who attended. The event demonstrated the power of bringing people together, sharing memories and having conversations with younger people on both their sports and living through various decades. 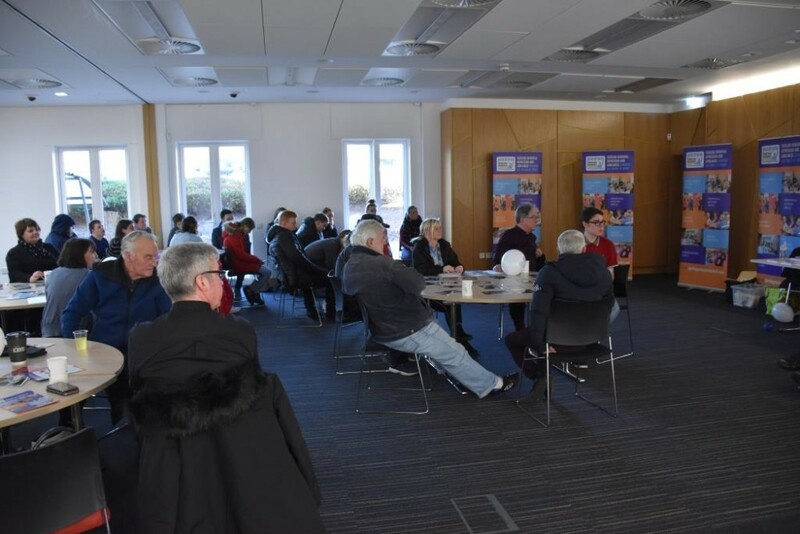 “Our Open Day was a great success and we have to thank ng Homes for their support in hosting the event and spreading the word through their vast community network. We are excited by the interest shown by local people and organisations and we look forward to establishing Sporting Memories activity in the area. Our vision is a community where people can flourish and prosper.